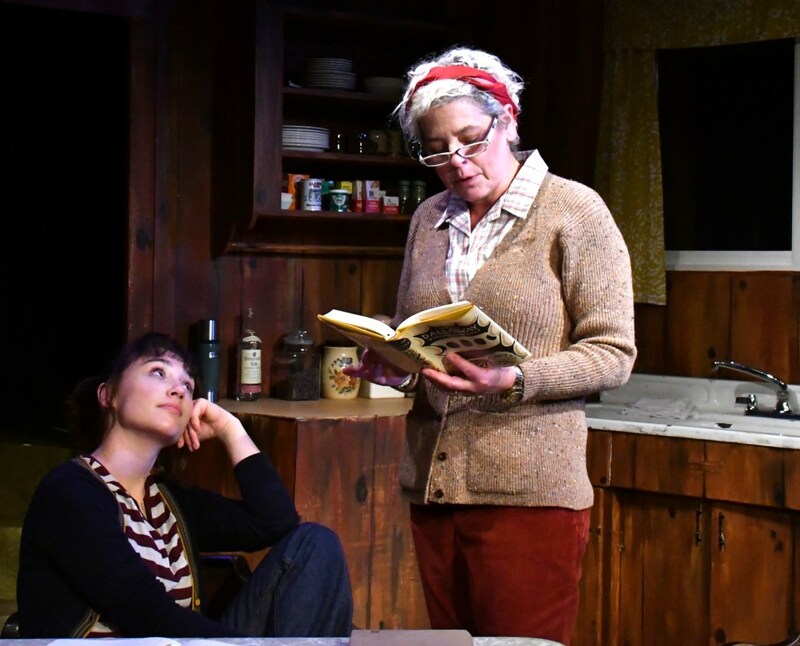 In “When We Were Young and Unafraid,” a tour de force of talented women, playwright Sarah Treem puts fighting words in the mouths of her radical and not-so-radical women. Four women, often opposed, speak every line with wisdom and pain that feels authentic. 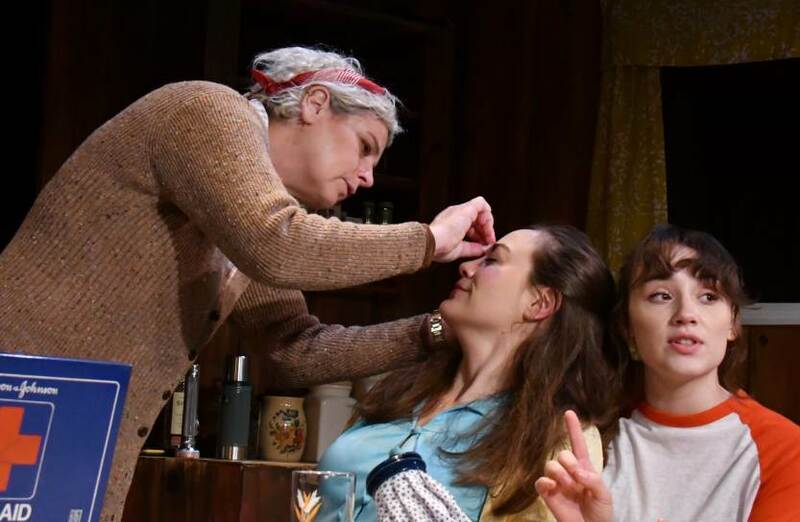 In the intimate space of Custom Made Theatre, the actors’ physical and emotional choices leap off the stage. 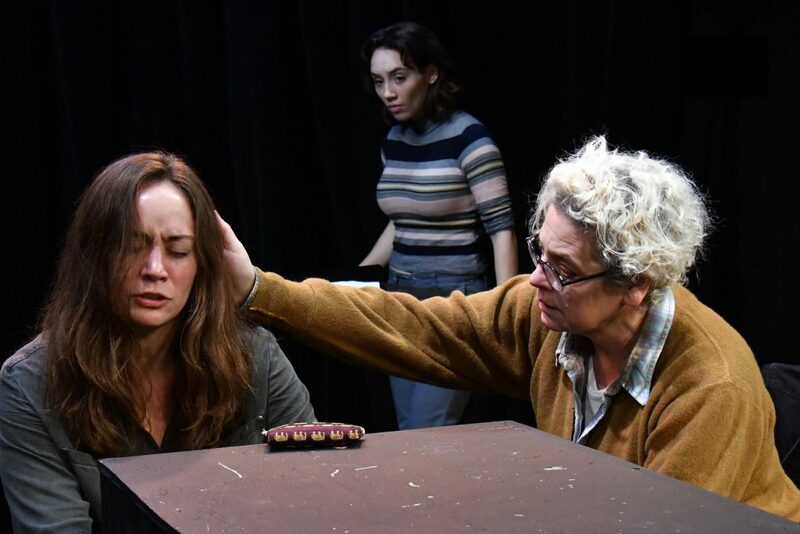 Director Tracy Ward and her powerhouse cast make the script compelling and hypnotic. In 1972, on an island off of Seattle, Agnes (wondrous Stacy Ross) runs an inn that also secretly serves as a shelter for runaway abused women. Agnes’ bookish 16 year old daughter Penny (remarkable Zoë Foulks) fiercely supports her mom’s feminist work. But charming Penny also wants to impress the captain of her high school football team. 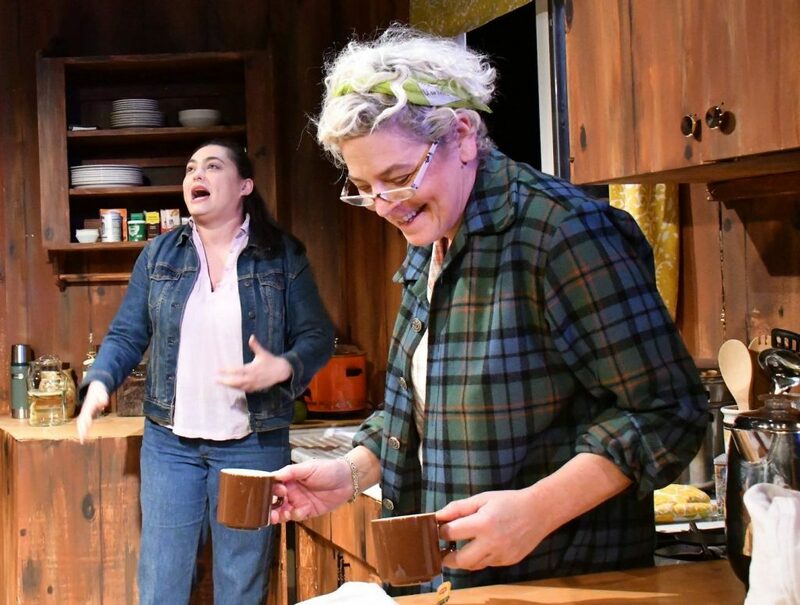 When two wildly contrasting women enter their lives, the cozy, wood-paneled kitchen turns into a battleground for radically opposed feminist ideas. 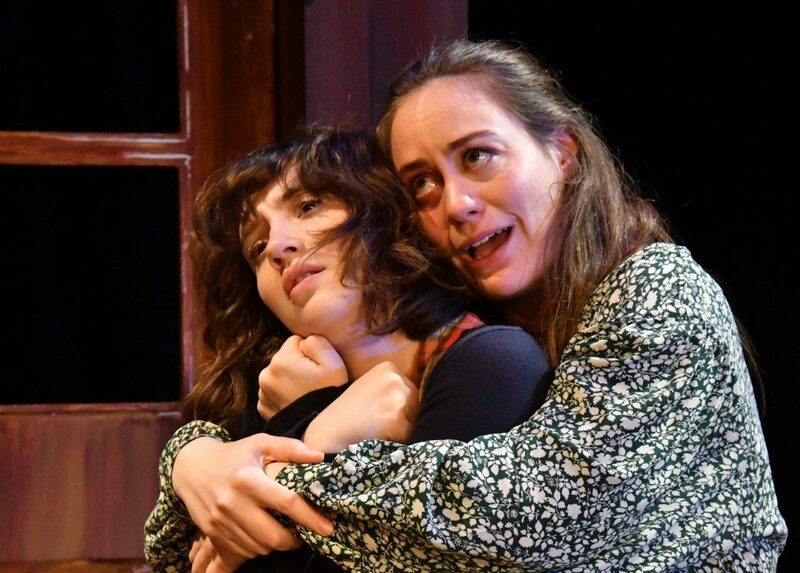 Frightened Mary Ann (striking Liz Frederick) is fleeing her violent husband, and Agnes begins to care for her. From experience, Agnes knows that Mary Ann will want to return to the husband who gave her a horrible black eye. But weariness creeps into Agnes’ business-like generosity. Is she really helping, anyone? Stacy Ross imbues Agnes with a deep kindness that peeks through her strict, rigid exterior. Mary Ann quickly bonds with young Penny, who embraces advice on wooing the boy. Each success leads Penny further from her dreams of Yale and her feminist beliefs. Zoë Foulks breaks out as a great talent, transfixing us with Penny’s innocence and malleability. 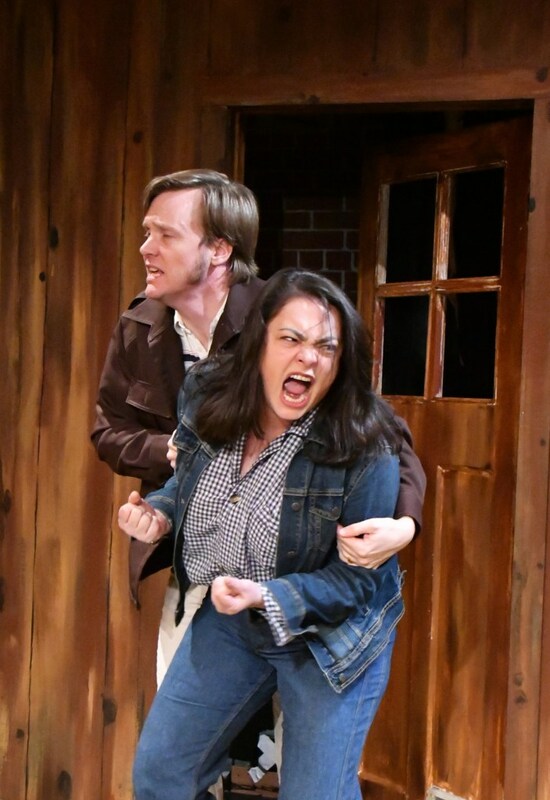 Meanwhile, Paul (skillful Matt Hammons), a guest at the inn, begins to woo Mary Ann. A guitar-playing songwriter from San Francisco, Paul has fled the City to escape the confusing tides of 60s change. Paul flirts with the vulnerable Mary Ann, reminding us of creepy male conduct exposed by #MeToo. “Young and Unafraid” examines shifting feminist ideas of independence. Much depends on who is in the room, clashing sharply over women’s roles. The constant shifting of center feels relevant in 2019. I grew up in Medford, Oregon, a conservative town where I was called a hippie because of my left-wing views. But, once I got to a liberal arts college, suddenly I looked “moderate.” Likewise, the center keeps shifting in “Unafraid”–between radical and moderate feminists. Agnes stands up to horrible men and marriage laws by helping battered women. But, her ideological perspective shifts depending on whether she’s talking to the radical Hannah or conservative Mary Ann. Their feminism calls for debate and development. “When We Were Young and Unafraid” ends with a stirring release of emotion that we share with Agnes. Director Ward and her perfectly focused cast grip our attention, every moment. Whether we emerge as a newfound lesbian separatist, or with a new understanding of women’s struggles, Treem’s work moves our empathy profoundly. Cast: Stacy Ross, Zoë Foulks, Liz Frederick, Renee Rogoff, and Matt Hammons.